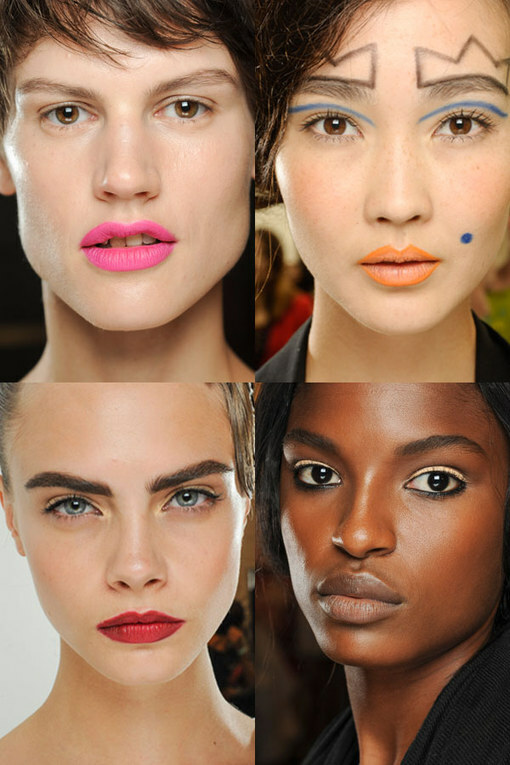 We've rounded up the hottest make-up trends for spring/summer 2013. From bold brows to loud mouth pouts and eyeliner experiments this season we're officially allowed to have fun! If you want to make a statement you can choose from brows, lips or eyes - but if you're more of a wallflower why not try the trend for barely-there makeup. Fresh faced, dewy skin is in so even if you go minimal you'll be on trend for spring/summer 2013!